Mr. Profy concentrates his practice in the areas of probate/estate administration, Estate litigation and banking law. Notably, Mr. Profy has served as Chairman of the Bucks County Orphans’ Court and Estate Planning Committee. He is currently a member of the Orphan’s Court Rules Subcommittee and Orphan’s Court Advisory Panel. His business clients include entities such as Spirit Financial Credit Union, NBA Credit Union, Fidelity Savings and Loan, Covenant Bank, Keystone Redevelopment Group, and Marquis Construction Services. Known for his common sense, problem solving and high ethical standards. Mr. Profy has long been a top choice for area businesses in need of conscientious counsel. He has served as a Court Appointed Corporate Receiver and Estate Guardian for incapacitated individuals. Mr. Profy received his Master of Laws Degree in Taxation from Temple University School of Law in 1992, his law degree from The Dickinson School of Law (J.D. 1986) and his undergraduate degree from the University of Notre Dame (B.A. 1983). 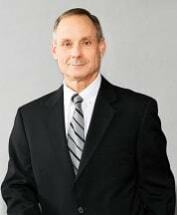 A long-time member of the Pennsylvania, New Jersey and Bucks County Bar Associations, Mr. Profy is admitted to practice in New Jersey and Pennsylvania. Mr. Profy has provided pro bono legal services to Ancient Order of Hibernians and, Washington Crossing 2026, VFW Post 1597 and Hope 101. Mr. Profy is on the Board of Directors of Covenant Bank. He currently serves as Solicitor to the Bucks County Treasurer’s Office.